I have read and enjoyed Maggie Brendan's Heart of the West series, so when I heard about her new series, The Blue Willow Brides I was excited! "Deeply Devoted," book 1 in Brendan's Blue Willow Brides series is an excellent historical romance novel! Catharine, a woman of society in Holland, responded to a mail order bride ad placed by Peter, a wheat farmer in Wyoming and they corresponded by letter back and forth over a few months before Catharine arrives in Wyoming to meet her groom. However, Catharine left out a few details in the letters. Peter is shocked when Catharine's two younger sisters have arrived as well and plan to live with the newlyweds. Throw in siblings, a disgruntled mother-in-law and a lady who seems to have had her heart set on Peter and you have a rocky start to a marriage! Catharine is still hiding something that she cannot bring herself to tell Peter, but yet it is keeping her from being completely comfortable with him and gives her nightmares. Just as she feels ready to tell him, someone else has done some digging into her past and makes matters worse. I really enjoyed this story and the characters! Peter and Catharine are blessed to have such good friends, the Cristini's, in their lives. The role and significance of the blue willow set is a great addition and shows love and the beauty of forgiveness. This book was a quick read as I did not want to put it down once I started. I wanted to know the hidden secrets just as much as the characters who were seeking the truth as well! I am looking forward to the next book in this series! 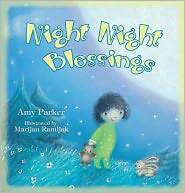 Amy Parker's "Night Night Blessings" is a cute story for your young child that shares the idea of thanking God for all of the blessings in your child's life. Written in rhyme, this story is sure to be a favorite bedtime story! Marijan Ramljak's illustrations are adorable and my daughter loves the details in the pictures as she points out various objects in the pictures. They are very soothing and yet have so much detail. The book is a board book with a padded cover making it perfect for little hands to hold on to as well! A great addition to your child's library! Julie Lessman's second book in her Winds of Change series is here! "A Heart Revealed" tells the story of Emma Malloy who is trying to recover from emotional and physical wounds in Boston. Emma left Dublin to escape the abuse she was receiving from her husband; however the trauma and effects of the abuse was not left in Dublin as she tries to begin a new life. Spending time with her best friend Charity and Charity's family that keeps on growing, Emma finds herself healing and reading to move on. Charity's brother Sean catches Emma's attention and soon her heart as well. However, Emma's past and the emotional baggage that is still so ever present keeps on getting in the way. This novel is set in 1931 yet the couples are dealing with the same struggles and issues that couples deal with today - balancing work and family, trust in a marriage, money, true love. This is a great novel that will pull you into the lives of the O'Connor siblings as you go through everyday life with them and watch the romance between Emma and Sean unfold! I just love everything Christmas - the beauty of the snow, the family times and celebrations during the season, movies, music and books! Suzanne Woods Fisher's latest book, "A Lancaster County Christmas" is truly "Christmas" - the cover is a beautiful wintry scene and the story depicts two very different lifestyles and yet she is able to so vividly share this wonderful time of year and what it means to very different people. Mattie and Sol are a loving Amish couple trying to raise their son the right way and keep him from harm, trying to keep a cousin on the straight path and hoping to have another child. Jaime and C.J. are busy individuals seeking to find happiness in such a busy, me-oriented world and are struggling to deal with changes in their lives. Jaime and C.J. find themselves snowed in at the Amish home of Mattie and Sol for Christmas and no one will be the same after celebrating this holiday together. This is a quick read and yet there is so much in this novella! The descriptions are so vivid that while reading I felt as if I were on this farm. The characters are so real and the emotions are tangible as each character is struggling with his or her own issues in their lives. I love that some of the characters are back from her previous novel, "The Choice!" This book is a great addition to my Christmas collection! Steven James brings FBI Special Agent Patrick Bowers to life once again in his thriller, "The Queen." This is the fifth book in this series and I highly recommend starting with book 1 and reading in order as there are some of the same characters in each book. Patrick is in Wisconsin to investigate the deaths of a mother and her young daughter. The husband and father is missing, and the police assume he is the guilty party. However, it is not that simple and there are many things and people that Patrick will encounter and uncover during his stay in this cold state. Some things date back to years earlier and Patrick finds himself in the midst of more than he bargained for. I find the relationships between the characters fascinating. With each book, the reader gets to learn more and more about the characters and the dynamics between the characters are interesting to read about and see the changes between them occur. Just a side note....this book is written with vivid descriptions of crime scenes and violence. I just wanted to keep on reading page after page until I finished Irene Hannon's latest novel! "Deadly Pursuit" book 2 in the Guardians of Justice series is a page-turner and a great addition to the series. Book 1 focused on Jake Taylor and book 2 focuses on another Taylor sibling, Alison. Alison is a social worker and she puts so much time and effort into keeping children safe and helping parents make changes in their own lives in order to be able to provide a safe home for their children. However, Alison finds out that not everyone appreciates her help. Alison is introduced to a new police-detective, Mitch, who works with the third Taylor sibling, Cole. Pretty soon Alison and Mitch are spending a lot of time together not only on a personal level, but also a professional level as Alison begins to receive threats. I have really enjoyed Hannon's novels that I have read and I was not disappointed at all with this one! Hannon has spent time researching the social work profession and this is obvious from her work making this book very realistic. Nicole and her son are great minor characters in the story and great examples of a family who was split up and then able to be reunited as a result of Nicole reassessing her priorities and making necessary changes in her life. There is a great mix of suspense, romance and relationships. I am looking forward to reading the third book in this series and spending more time with the Taylor siblings! Do any of you hide who you really are from the rest of the world? Does being someone else get tiring after awhile? Do you instantly feel relief when you are able to be yourself at the end of each day when you are no longer interacting with others? Emily P. Freeman discusses all of these questions in her book, "Grace for the Good Girl." Freeman's book is great to read alone or to use in a small group. There is a small group leader's guide included in the back of the book. Near the beginning of her book, Freeman compares how so many of us live our lives - hiding ourselves from the world as if we are wearing a mask. She shares a story of wearing a Barbie mask while she was little, it was fun, but after awhile it grew old and she was relieved to take it off, breathe fresh air and able to be herself. We may find relief like that when we step into our homes at the end of the day and feel like we can finally be ourselves instead of hiding behind a front/shell/facade that we maintain around others. There are three sections of the book, the first addressing "the hiding." Tied into this section is the reputation that one may be trying to maintain, following the rules, always showing that everything is fine. The second section focuses on "the finding" and the third section on feeling free from being found. Each of us are able to live loving God and receiving God's love and not constantly hiding behind the "good girl" mask. I enjoyed reading this book and I would love to go back and read through it taking my time and also even working through it with a small group as great discussions are sure to come from reading this. Freeman includes personal stories through the book and also Biblical references. Overall, the book is well-written and would be a great small group study! Fall. Autumn. Whichever name you use for this time of year, it is my favorite season. I love the scents of fall, the colors of fall, the feel of fall, the sound of fall. The color of changing leaves, leaves falling and swirling through the air, the sound of walking through leaves on the ground. The crisp feel to the air, wearing sweaters. Sipping on hot apple cider, the aroma of the cider. Picking apples. Picking pumpkins. I have recently decorated my home for fall. I have looked forward to this time all year! I had new things to decorate with and more space to decorate this year! Late winter/early spring I ordered an accessory collection from Yankee Candle - Cornucopia Crackle. B eautiful. I have had these pieces packed away since then and have just been waiting to get them out. Finally that time arrived. I have an Autumn Wreath jar candle with this shade and plate, that is a favorite Yankee Candle scent of mine. This piece is my favorite of the collection. I have one on each end of the mantle above the fireplace and two placed on the dining room table, there are just beautiful. I also "discovered" two new favorite scents this year at Yankee Candle. I love the apple scents - Apple Cider, Apple Pie, Macintosh, Granny Smith. But I was in the store and feel in love with two more fall scents - Farmer's Market and Be Thankful. The candles smell just like fall. And the pictures on the candles are so nice too. These two scents are a must to go with my fall decor. These two scents are being displayed with some of the Scarecrow Hill pieces from Yankee Candle. I have never used a tart warmer before, but I just could not resist this piece of this collection! I have tried it and love it! As soon as I saw the Nature's Crackle collection this year in the store, I knew I had to get the shade and plate for my mom. It is a perfect portrayal of fall. Hobby Lobby and Kirkland's have had beautiful fall decor pieces this season and on sale already which makes them even better! My house is ready for fall and all the favorites that come with fall. I am ready to savor each and every moment of fall with my family and friends. I think that almost everyone at some point doubts herself and feels like she is worth less than she actually is. Renee Swope's "A Confident Heart" is geared toward correcting and lessening these thoughts and feelings. Swope writes from her heart and is willing to share her insecurities with the readers just as she would a best friend. Therefore, while reading it is almost as if you are sitting there with Swope talking as friends would over a cup of coffee. So often women believe that they are not good enough or she is not doing enough and it is easy to get sucked into a negative mindset. However, one can pull out of these thoughts and believe and see the best in one's self. 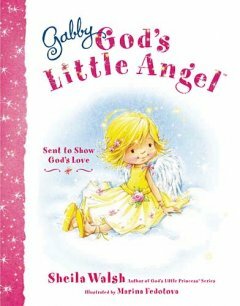 This book is a great reminder of God's promises to each of us and that we are not alone in the world and with our insecurities. This book is a great book for all women to read and one to go back to during times of doubt.